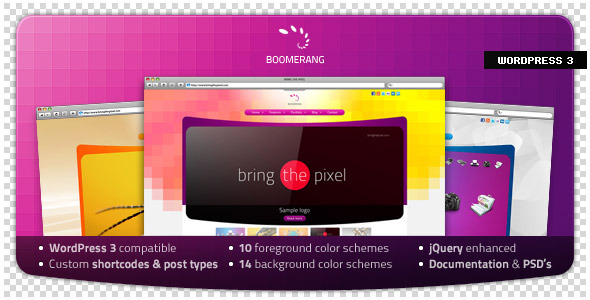 Boomerang is an original looking theme. It's not afraid to use vibrant colors. It comes with tons of different skins that look really different. It has custom shortcodes and post types, 14 background color schemes and 10 foreground. and jQuery.